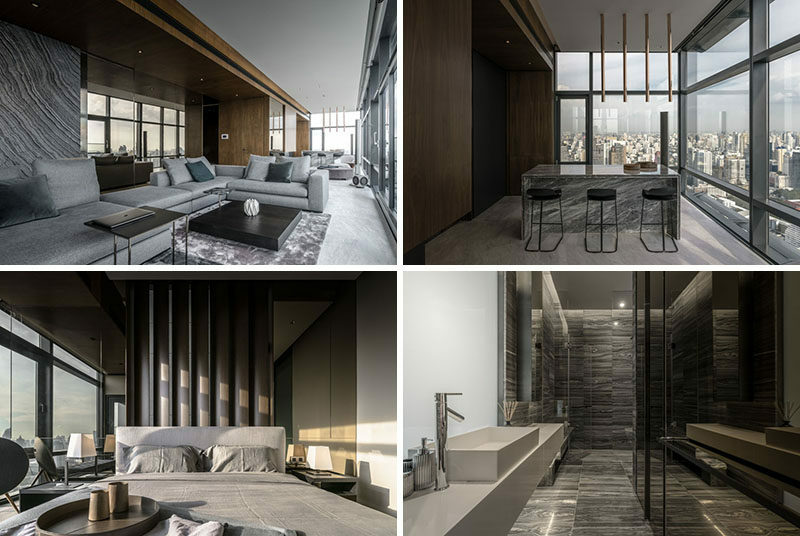 ONG&ONG have designed ‘The FHM Bachelor Apartment’, a modern New York inspired loft that’s located within a high-rise building in Bangkok, Thailand. 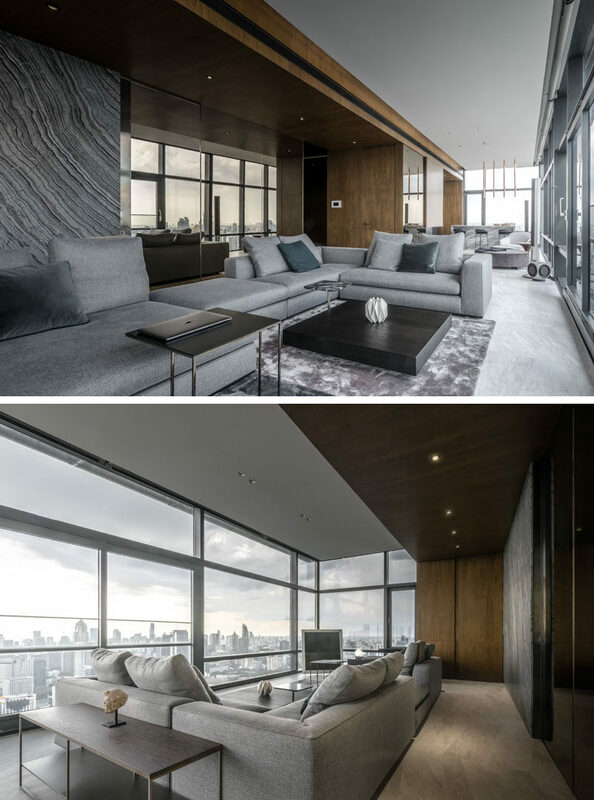 The main living areas are all open plan and enjoy a 270° panoramic view of the Bangkok cityscape. 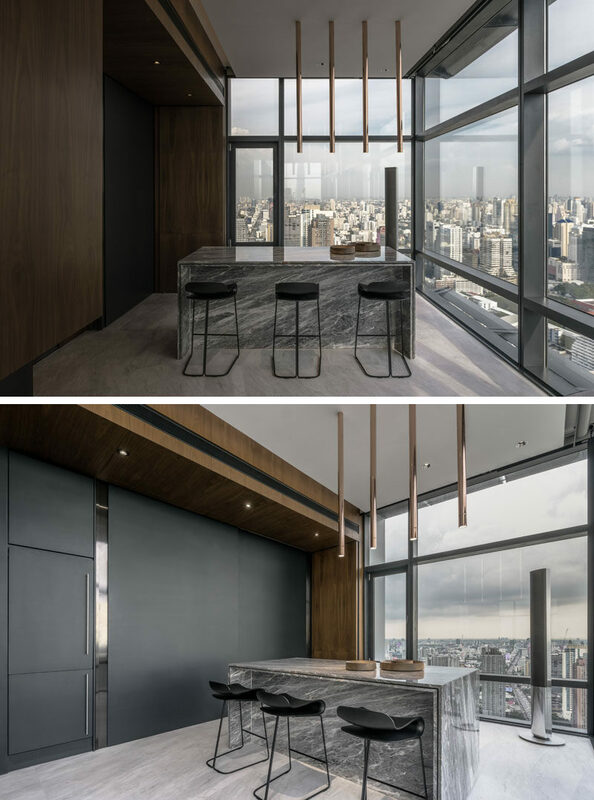 In the living room, a mirrored wall reflects the view, while marble has been used to create an accent wall that complements the kitchen at the opposite end of the room. 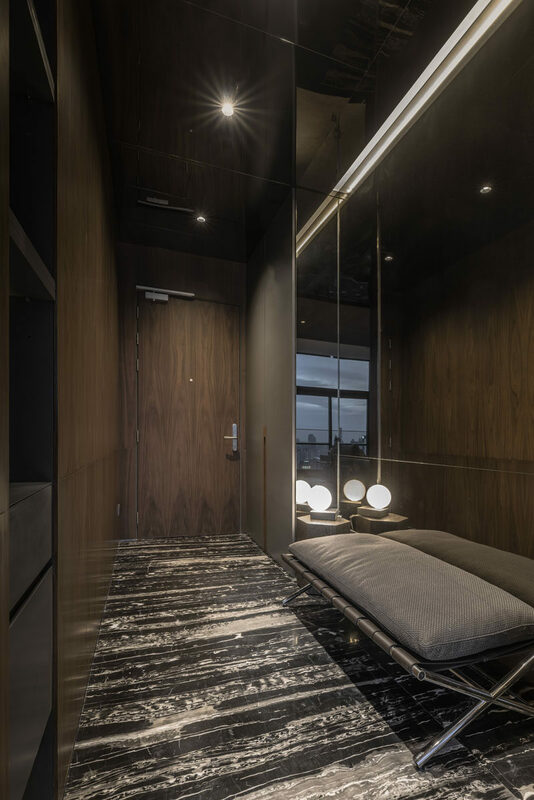 Separating the living room from the kitchen is a small sitting area, that has storage hidden behind a movable wood panel. 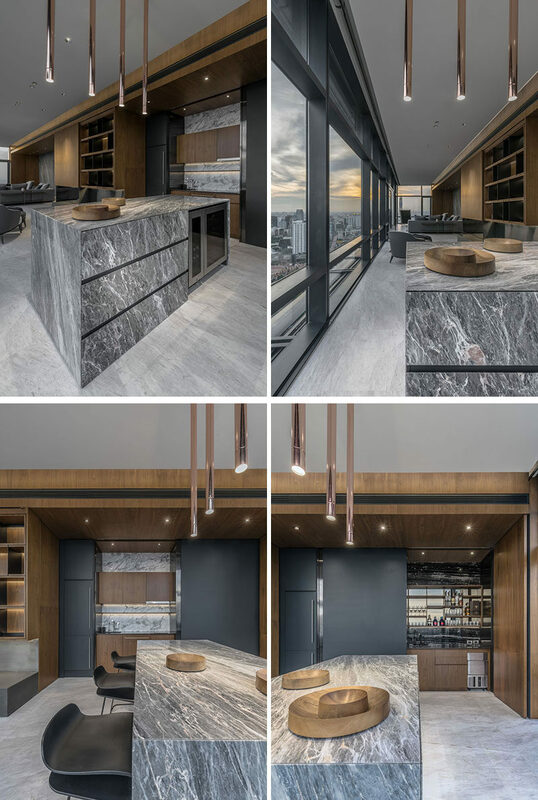 Connecting the spacious main living area to the service area is a versatile island counter that can be converted into a bar for evening entertainment. 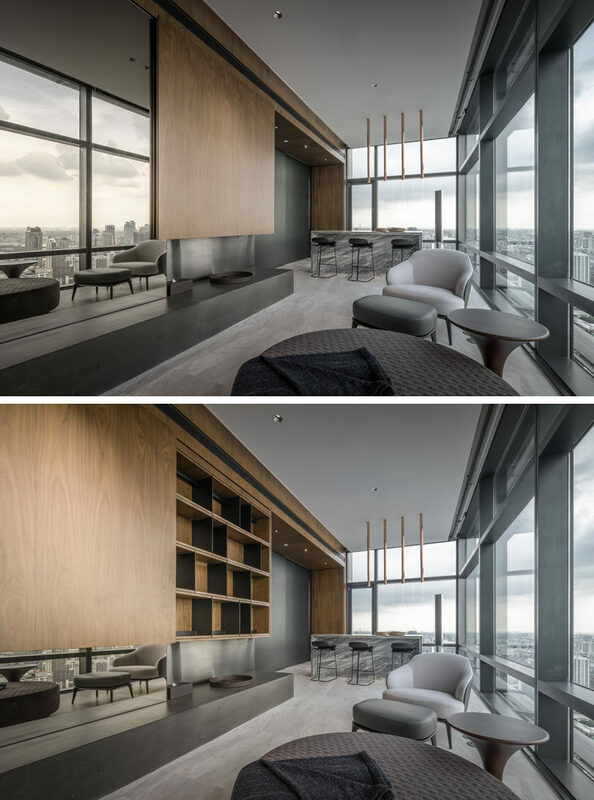 Hidden behind matte black panels are storage cabinets and a full bar area. 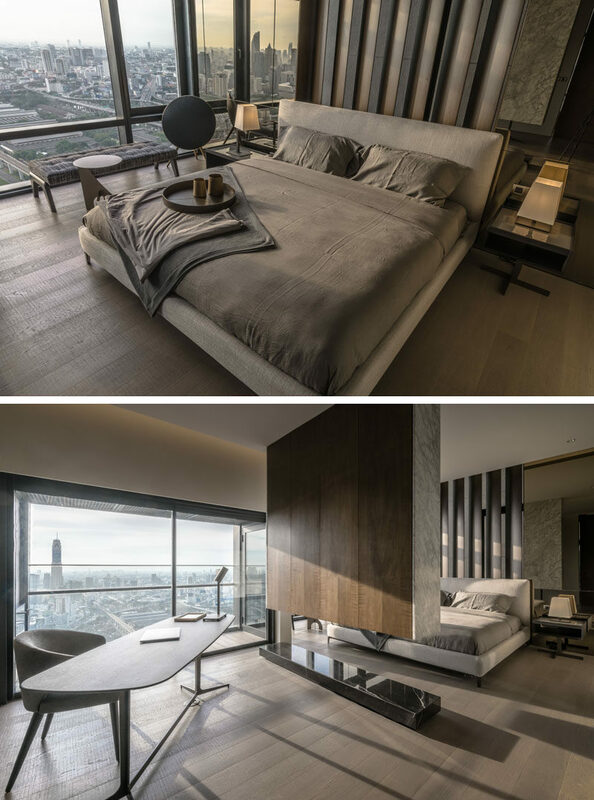 In the bedroom, extruded aluminum fins are positioned behind the bed, while a suspended room divider creates a separate area for the home office. 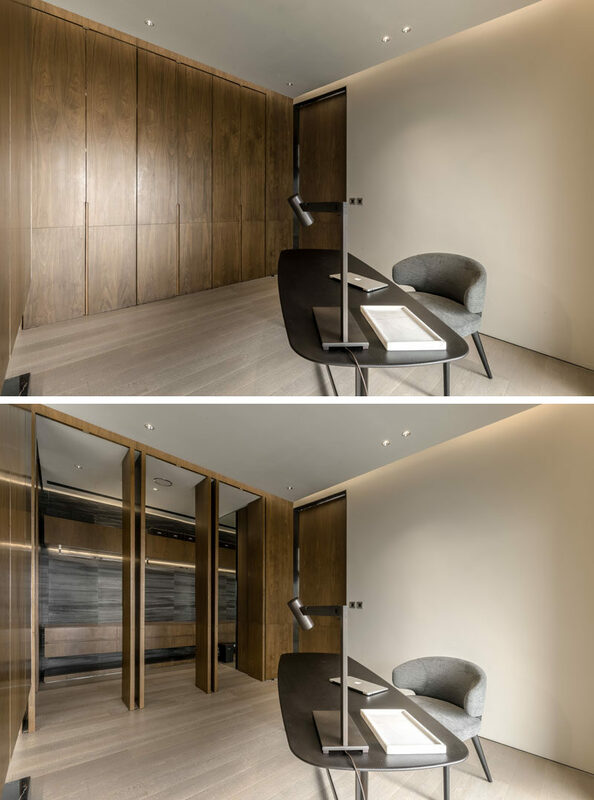 In the home office, a wall of wood paneling opens up to reveal a walk-in closet. 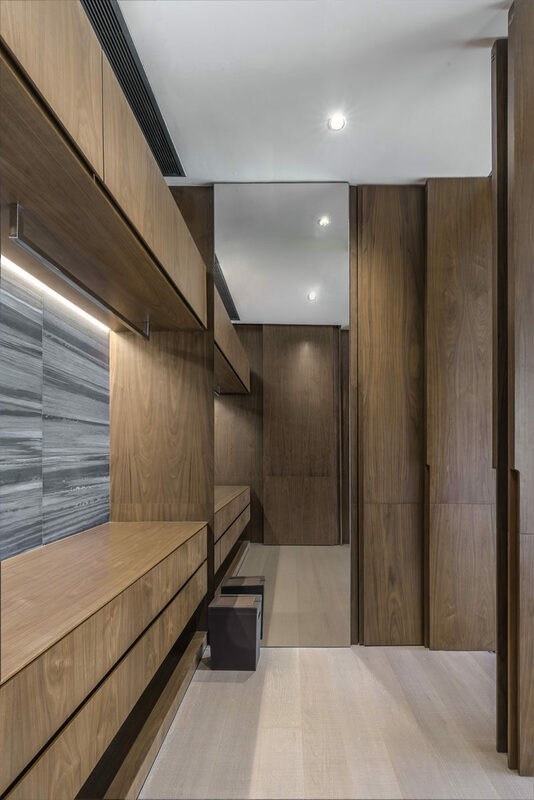 The walk-in closet features warm wood cabinets and a floor-to-ceiling mirror. 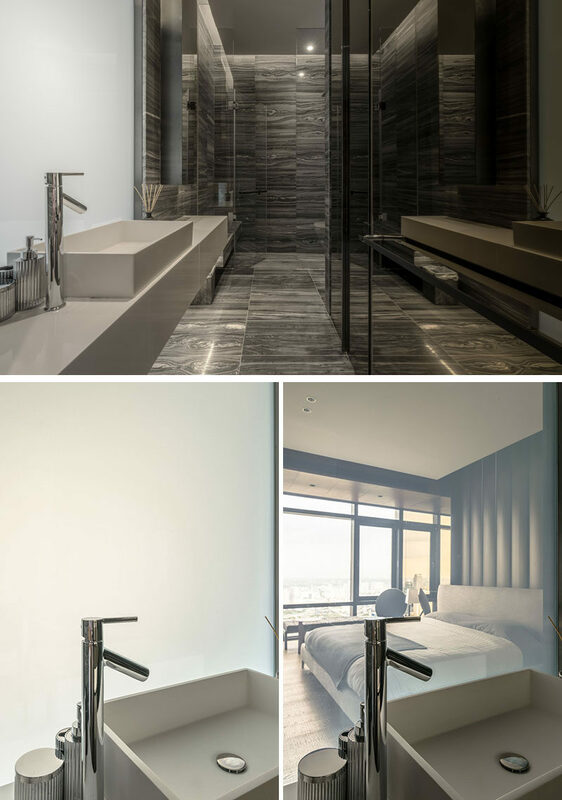 The use of natural stone continues in the bathroom, while an opaque glass panel becomes transparent and provides a view of the bedroom.